Also, in the movie, they would use three or four longboats to go ashore--where were they storing those? They weren't on deck, and they weren't towing them. Where were they? That's right, I'm nit-picking a children's fantasy movie. The project I'm working on right now is very ship-heavy, I'm drawing a lot of boats and ships and that Dawn Treader was driving me nuts. Maybe some day I'll post my own take on the Dawn Treader. 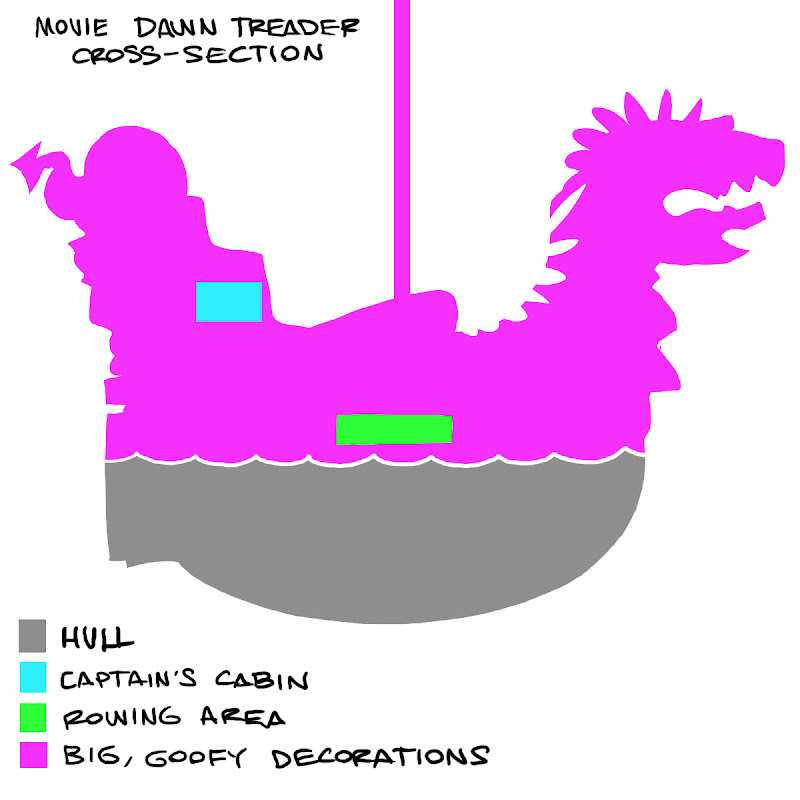 I hadn't thought about it, but your right: the Dawn Treader did look goofy in the movie. I agree, it was just okay, which is a shame, because it's an awesome book. Honestly my wife and I love the Narnia books and were quite surprised when they threw in the whole evil mist and 7 swords thing...however we thought it was a great idea to make the movie have more of a central purpose. 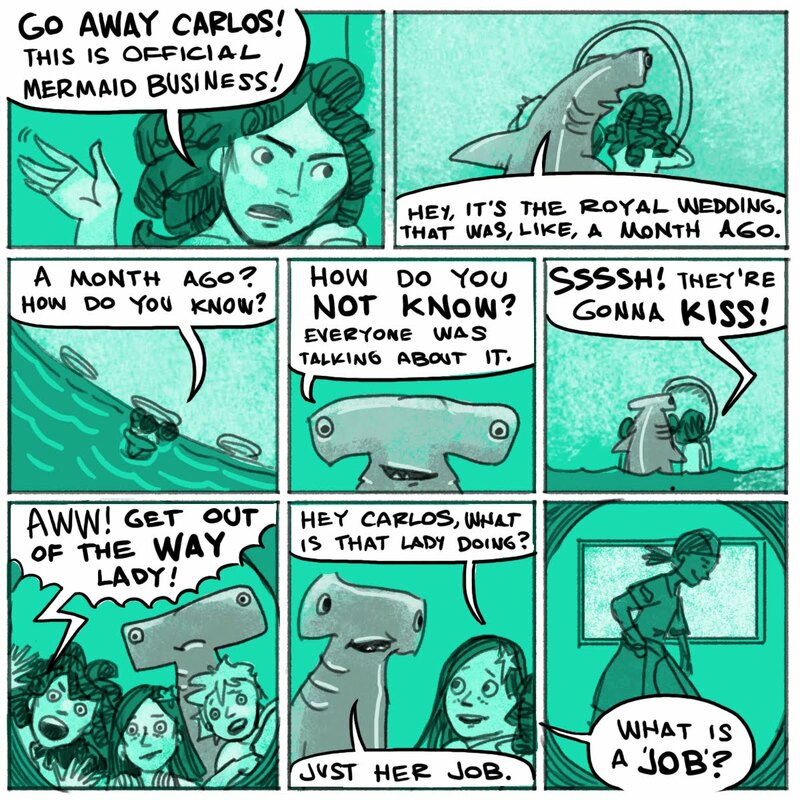 Is your current boat project the graphic novel history? I can picture some naval battles showing up in a few of places.